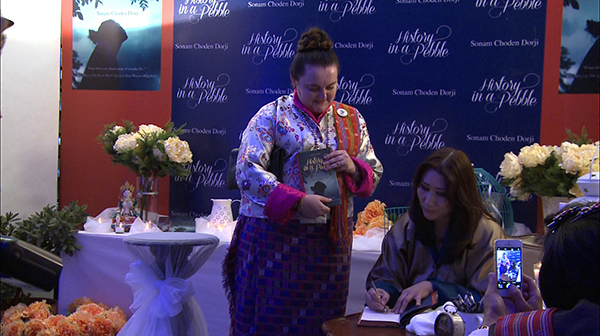 A collection of poems called “History in a Pebble” written by Sonam Choden Dorji was launched at the Royal Textile Academy in Thimphu, yesterday. The title pays homage to the Zhabdrung Ngawang Namgyel and the spirit of the poetry is dedicated to His Royal Highness The Gyalsey. Members of the Royal Family, Prime Minister and other guests were present during the launch.